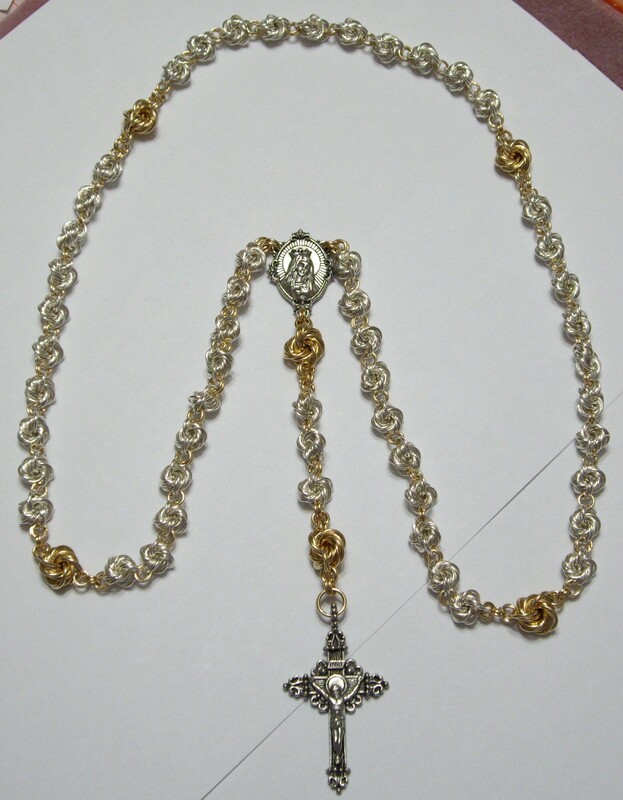 The Chainmaille Rosary is a wonderful symbol of your faith. It can be used for a lifetime. The mix of yellow gold filled and sterling silver bead components add interest to the piece. The gold filled bead components are larger than the sterling silver bead components, so you can recite the rosary by feel if desired. This is a beginner weave. The rosary is available in a larger size or a smaller size kit. The sterling silver crucifix and bead station are included in the kit.